Why would I need self storage in Panorama City, CA? There are a variety of reasons why you might need self-storage in Panorama City, CA. How much is a storage unit in Panorama City, CA? The cheapest storage unit in Panorama City, CA is $91.00 per month. What size storage units do you have available in Panorama City, CA? In Panorama City, CA we have sizes that range from 4'x5' to 10'x30' to suit your storage needs. How much is it for a 4'x5' storage unit in Panorama City, CA? The cheapest 4'x5' storage unit in Panorama City, CA is $91.00 per month. Panorama City is a Los Angeles suburb within the San Fernando Valley, located just north of the city. It's a densely-populated, highly diverse neighborhood that has welcomed a large population of immigrants and has been the home of several well-known actors and athletes. Prior to the 1940s, the area where Panorama City is now located was primary home to dairy and sheep ranchers. After World War II, a high demand for housing motivated developers to explore new ways to construct residential communities, quickly and effectively. Prefabrication became a popular option across the country, and the community of Panorama City was one such prefab planned community. It was the very first planned community on the West Coast, officially planned and developed in 1947. The city's original master plan called for more than 4,000 homes, including 25 acres of parking spaces and 31 acres of commercial development. The prefab homes became very popular, and by the early 1950s, Panorama City hosted supermarkets, a General Motors plant, the Panorama Mall and many other businesses. Panorama City has plenty of amenities to offer, especially when it comes to parks and recreation. There are several parks and recreational facilities throughout the community, most of which are easily accessible from its residential areas. The Panorama Recreation Center is one of the popular family-friendly spots in the area, housing a baseball diamond, basketball courses, an indoor gym and community room, tennis courts and a children's play area. Another recreational facility in Panorama City is the Sepulveda Recreation Center, which includes several sport courts, community gathering spaces, indoor gyms and the Sepulveda Pool, an outdoor pool open during the warmer months. Senior citizens also have a recreational center catering specifically to their interests in the Mid-Valley Senior Citizen Center. 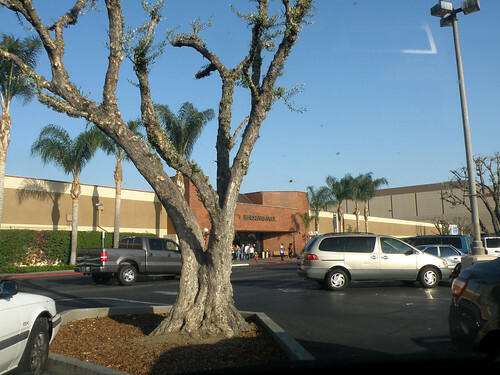 Panorama City schools are part of Los Angeles Unified School District. There are also a few private schools in the community, and you have access to many more if you're willing to drive into LA. Utilities: Panorama City shares utilities providers with much of the LA metro area, including the Los Angeles Department of Water and Power. Garbage and Recycling: Most homes in Panorama City receive some form of garbage and recycling collection services, which vary slightly depending on the home style and location. Transportation: Panorama City is part of the large LADOT Transit system, which provides public transportation options throughout the LA metro area. Among Los Angeles suburbs, Panorama City is fairly affordable. However, prices are still significantly higher than the national average. There are many apartments and town houses throughout the community, which provide a slightly more budget-friendly option than its single-family homes. Our lowest priced units in Panorama City, CA average $95.00 per month. 136 people have reserved units in Panorama City, CA in the past 30 days. There are 3 locations within Panorama City, CA's city limits. There is 1 location in Panorama City, CA that offers AC and Heating features.